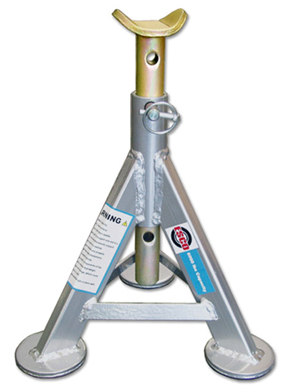 With Summer winding down, many enthusiasts are already starting to plan their next projects for the Fall and the one 'tool' that's a must for every garage is a solid set of jack-stands. With a ton of options on the market and price points all over the place, the one question every car guy/gal ask themselves is, 'are these going to keep me and my car safe?' Us Pelicans want to make sure that the answer is always YES, so we always recommend the ESCO jack-stands when asked which option to go with. 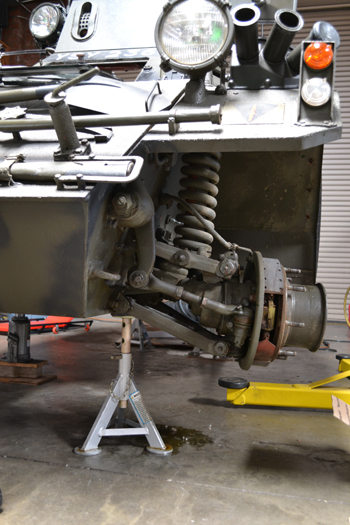 We trust them so much, that they were used when working on our Ferret Scout. Check out the picture below! Available as a flat top lined with a hard, rubber cushion or your conventional, v-shaped post. Can’t decide which stand version you want or need? 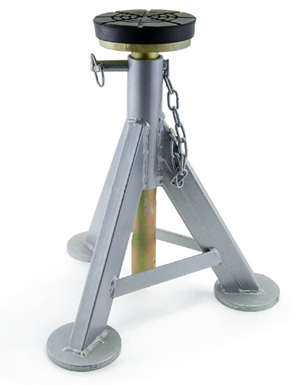 We now have additional axle posts available so that you can have the best of both worlds! Last edited by Dmitry at Pelican Parts; 08-17-2017 at 01:07 PM.